No other company knows spas like Leisure Bay Spas. For forty years, they have dominated the industry by perfecting and improving the way we enjoy and unwind in a warm bath. But you need not go far and go to an expensive hotel all the time. Experience first class relaxation and luxury right in the comfort of your own home through its fine line of hot tubs and spas. Leisure Bay Industries first opened its business in 1974. Like many of the big companies that we see today, it started out small with its operations comprising of a team of five people with tubs that resembled small pools. As outdoor hot tub and hydrotherapy became popular all over the United States, their spa business also boomed and became popular. Today, Leisure Bay Industries has thirty-three factories all over the Southeastern parts of the US and is one of the top suppliers in different parts of the world. 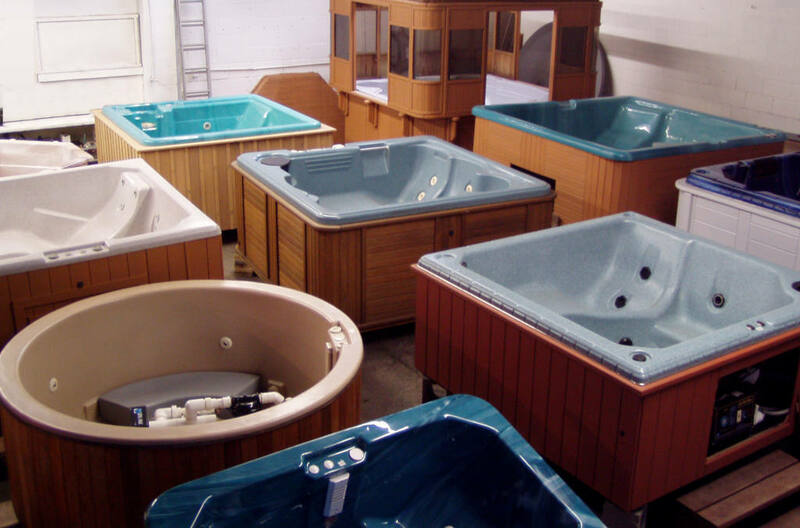 The demand for their tubs has tremendously increased over the years that they are now producing around 30,000 of the best hot tubs every year. Leisure Bay’s success comes from its dedication to innovation. Through the years they have invested in research and experts to refine their existing products and develop new ones. By working with top spa designers, they have introduced new technology that makes their spas distinct, durable and easy to use. One of their unique trademark is the Tornado Tube Filtration System, a mechanism that filters water and prevents contamination as it helps maintain water quality within the recommended rate specified by the US body responsible for regulating surface water standards. It basically keeps the water clean and safe while you soak for hours. And their products have built-in heat insulation and heat conservation properties so you do not have to worry about high energy consumption as you take your time to relax. Whether you go for their conventional designs that are made out of natural acrylic material or choose the rather contemporary poly-steel tubs, you get to indulge on sophisticated yet user friendly features. Let us take their swim spa as an example. The company has made it possible for you to spend hours in the water without the hassle by installing an intelligent feature for draining out water from several days before. This just one of the many ways that they have transformed their products to make it more convenient and efficient for its users. When you just had a stressful week, the last thing you want to do is to manually unload water. Leisure Bay Spas provides quality spas with a multiplicity of designs that will suit everyone’s needs – one of the many reasons to love them even more. Look for their brand when you think of purchasing a portable hot tub, dream maker spa or garden leisure spa and you will never go wrong. Find the one that suits the style of your home or your backyard. They got spas in various sizes and shapes to accommodate your big family or when you invite close friends over. You can also find the right type that is safe for your small kids who likes to soak and play for hours. Having problems with that limited space that you have left in your garden? They have the kind that you need. Treat yourself to one of their premium models and relish in the great craftsmanship that they put into every single one of their products. And when you are not ready yet to splurge on a top of the line model, just go to your nearest retailer and check out their discount hot tubs. You may also call your favorite shop for inquiries. If you revisit history, you will be amazed by how some people from old civilizations regarded bathing in hot tubs as an essential part of living. It has also been proven to help relieve fatigue and stress. Research also shows that soaking in warm bath for several minutes a day can cause people to sleep better thus improving overall health. Even better, the cross fire jets that you see in Leisure Bay Spas products can also sooth those tired muscles and alleviate body pains which may be common among athletes and the workaholics. These massage jets are not there to tickle, but they are rather strategically positioned to target various body parts and muscle groups in the human body, making you feel good with improved blood circulation afterwards. Hot tub therapy can also benefit those suffering from chronic illness such as rheumatoid arthritis and hypertension. But whether you have those nagging body pains from which you want to be rid off, or someone who just wants to unwind after a long day at work, it is always good to know that you can come home to a nice warm tub and feel like a load has been taken off your shoulder. Still not convinced with all these great health benefits? Why not check out customer reviews online to see what others say or ask your doctor. You can visit their website to see images of their designs and get more details. Drop by the closest showroom to learn more or try out one of Leisure Bay Spas for yourself. 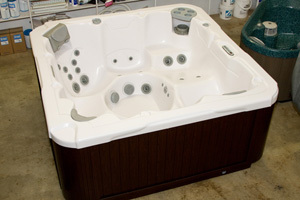 This entry was posted in hot tub reviews, leisure bay spas and tagged hot tub reviews, leisure bay spas. Bookmark the permalink.